Hi friends! I hope you are doing well. I'm so-so. I've had a headache for the last 4 or so days and it's starting to get a bit annoying. I had a CT scan today and I should have more info tomorrow. Other than that, we are doing pretty good. It's still very hot. 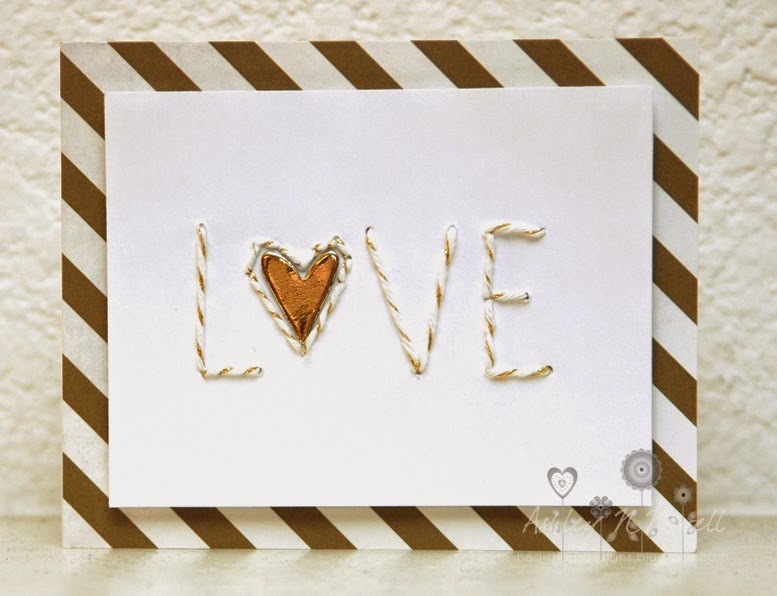 Today, I'm posting a card for my friend Virginia's challenge. I "met" Virginia online a loooooong time ago when she was on my EtsyInspired design team. She is a wonderful lady and I adore her! I've been meaning to play along with her challenge for a while but I don't get a ton of crafty time these days. I'm trying to make more time for it. You can find the challenge HERE. 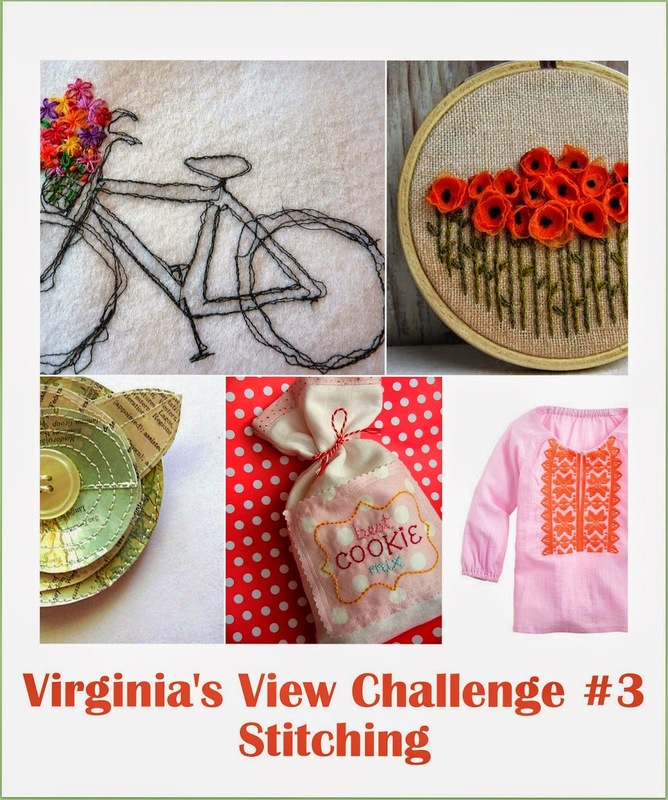 This month's challenge is stitching. Let's be honest, I don't stitch a lot. Like maybe once a year. I even having a little sewing machine that never gets used. A while back, I bought the stitch templates from Amy Tangerine but I've never used them so I busted them out and used Gold Metallic Divine Twine to stitch with. Stitching with bakers twine is kind of hard because it's very thick. I would advise you to take your paper piercer and make your holes larger before you start stitching. I used My Mind's Eye paper and a Studio Calico heart. You are on a roll! Love that gold heart! AWESOME!! You are definitely BACK!! !